In his long-awaited memoir, “Forever and Ever, Amen: A Memoir of Music, Faith, and Braving the Storms of Life”, Travis opens up for the first time, sharing the deeply personal stories of his life. From a troubled, working-class childhood in North Carolina to the Country Music Hall of Fame; from a broken marriage to a miraculous daily recovery from viral cardiomyopathy, flatlining, massive stroke and coma, Travis, with the help of best-selling author Ken Abraham, tells his story of perseverance and redemption from start to finish. I didn’t really feel I had a book to write until I stood on the distant shore and looked back over the ripples my life has made—on myself and on others. My songs were the stories of my life and I learned from those who listened, they were theirs too—my fans inspired me and continue to do so,” said Randy Travis. 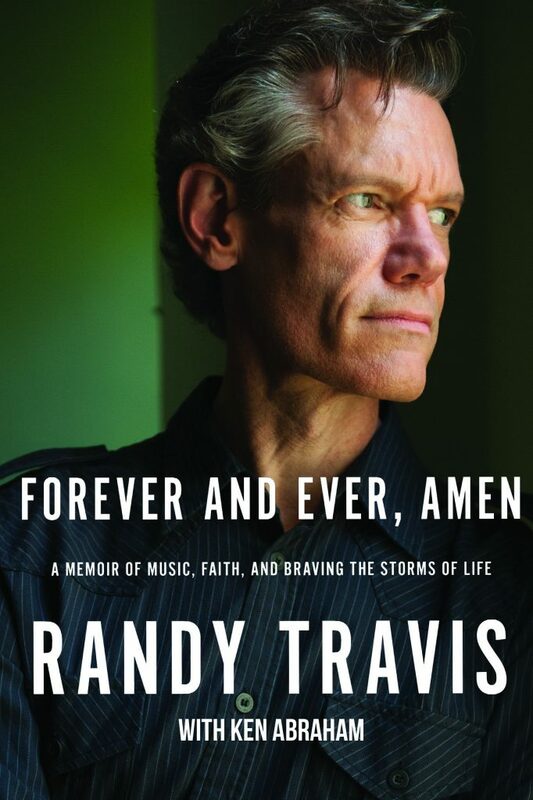 For more information about “Forever and Ever, Amen” and Randy Travis, please visit www.RandyTravis.com or the official Randy Travis Facebook page.